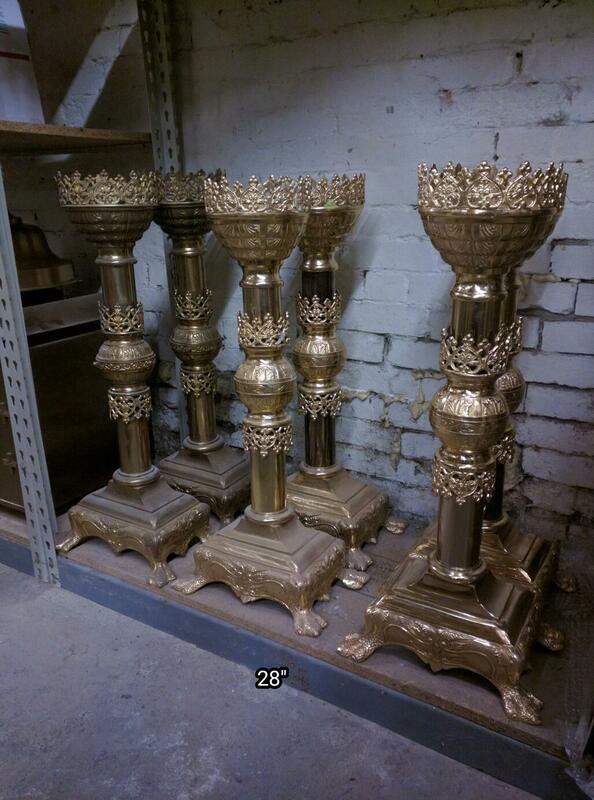 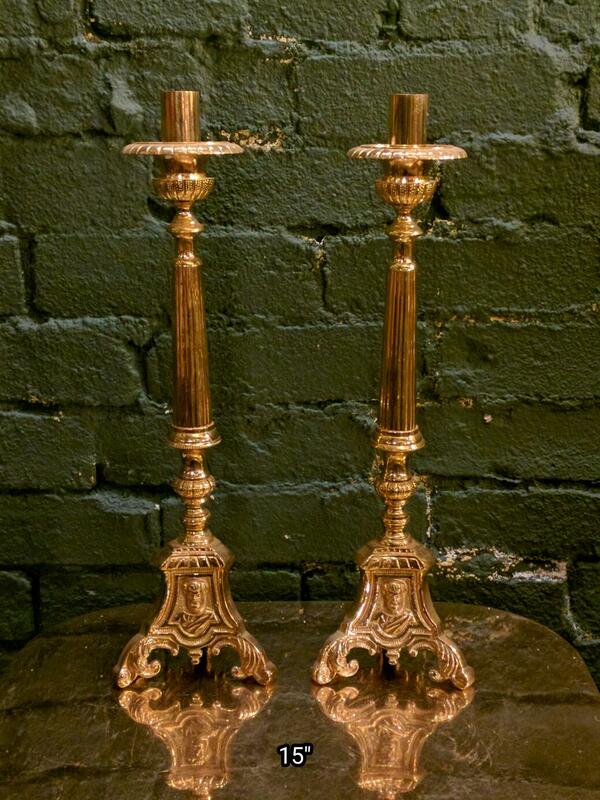 Want gold plated candlesticks? 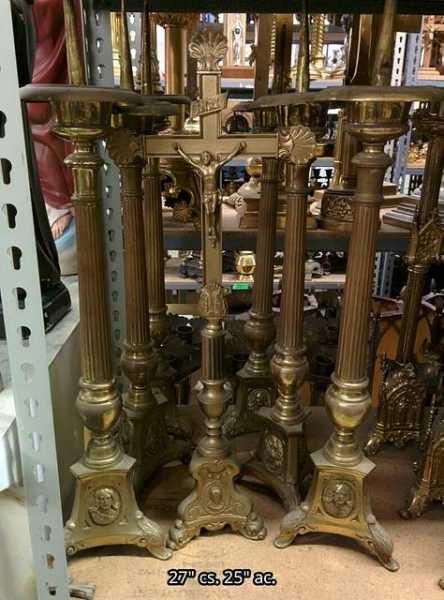 Can't find or afford it? 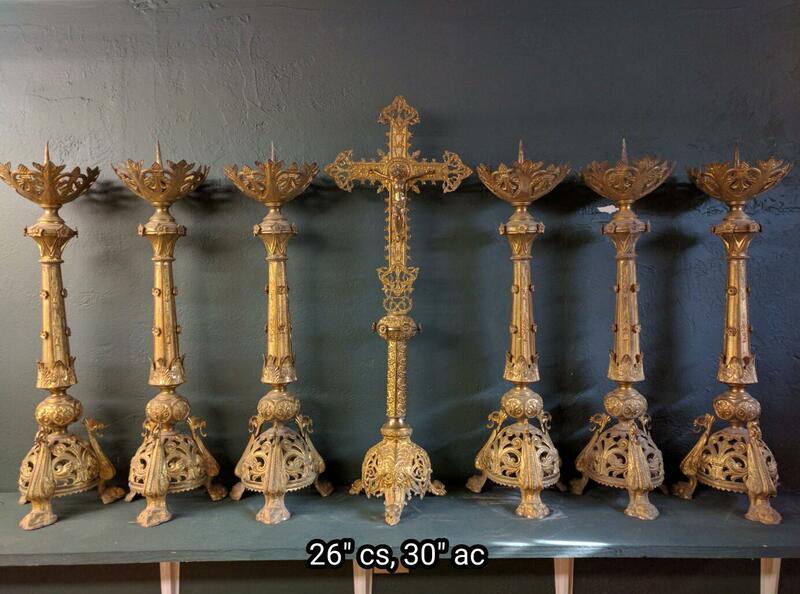 We plated thousands of items 20+ years ago. Gold was cheap. Now you can afford it! 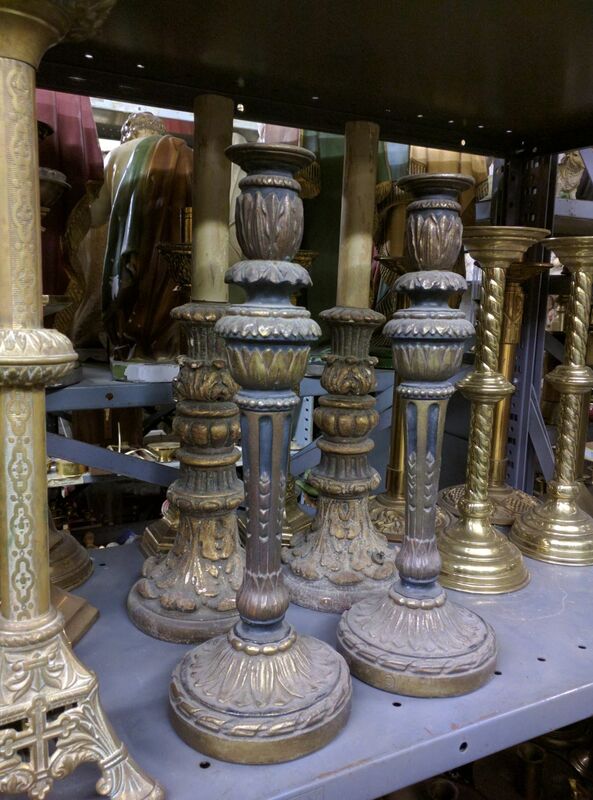 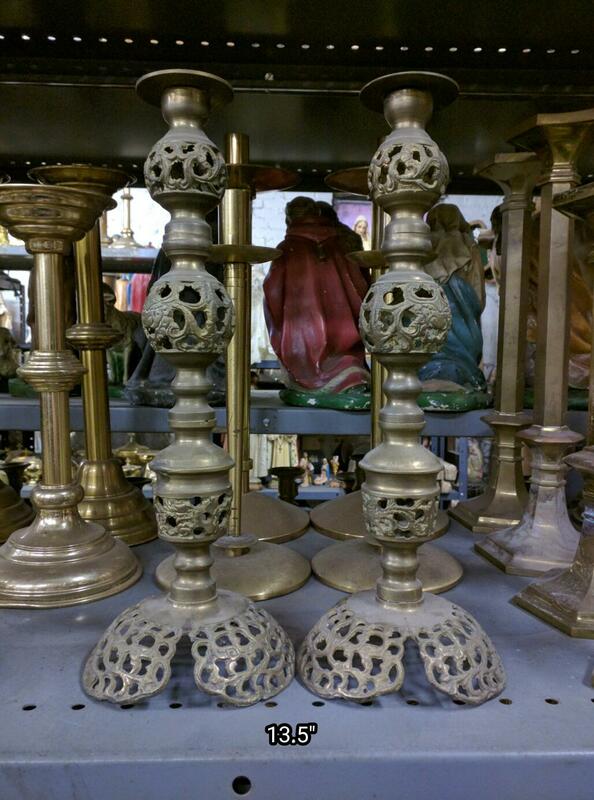 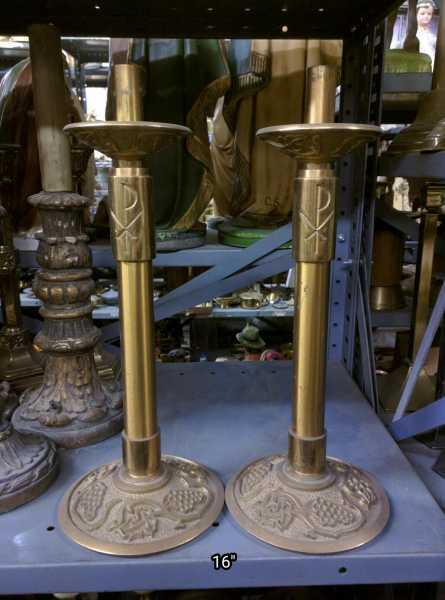 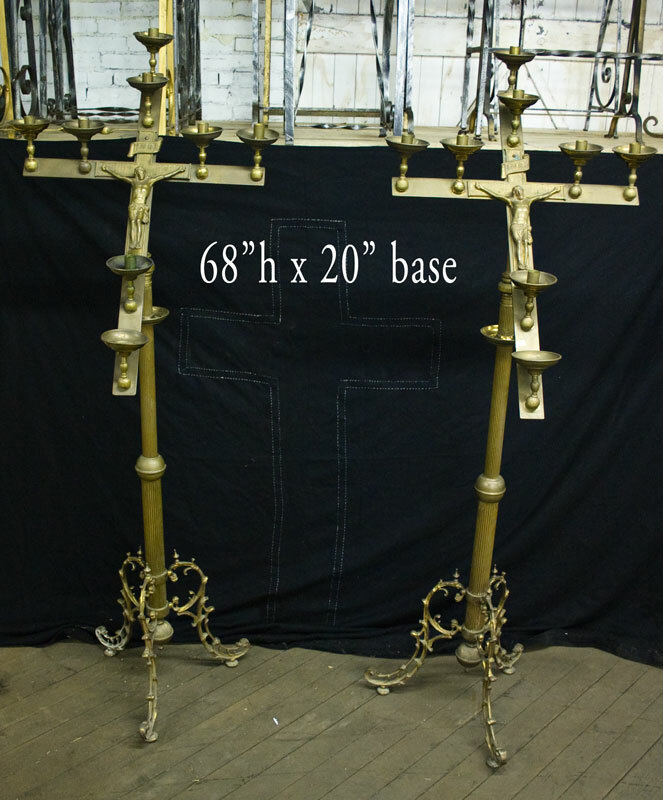 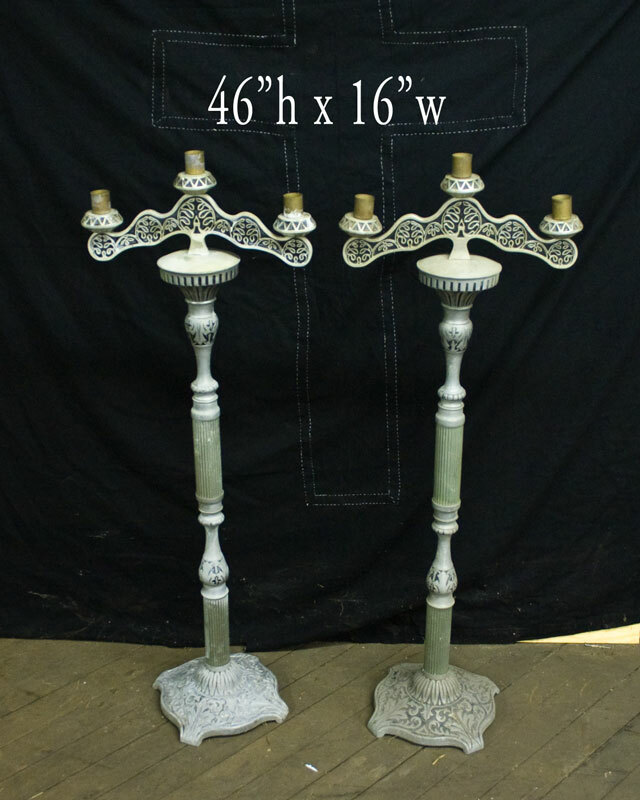 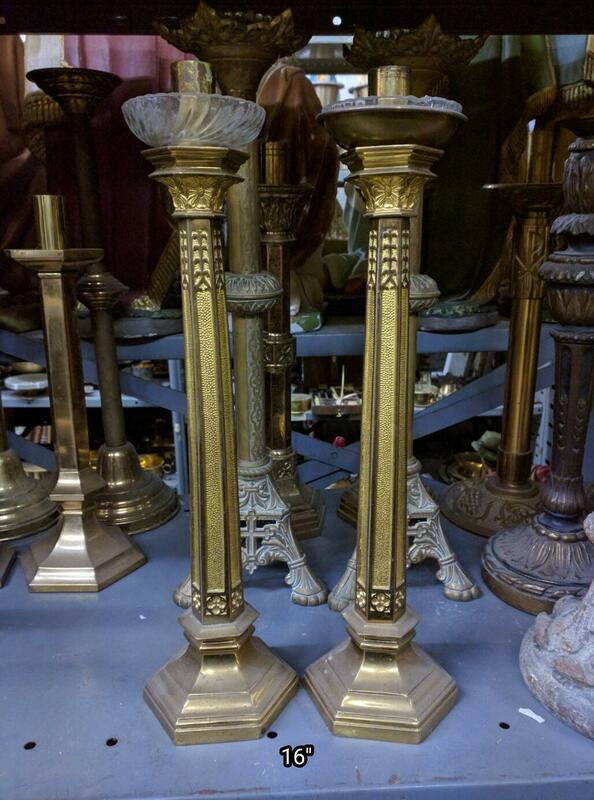 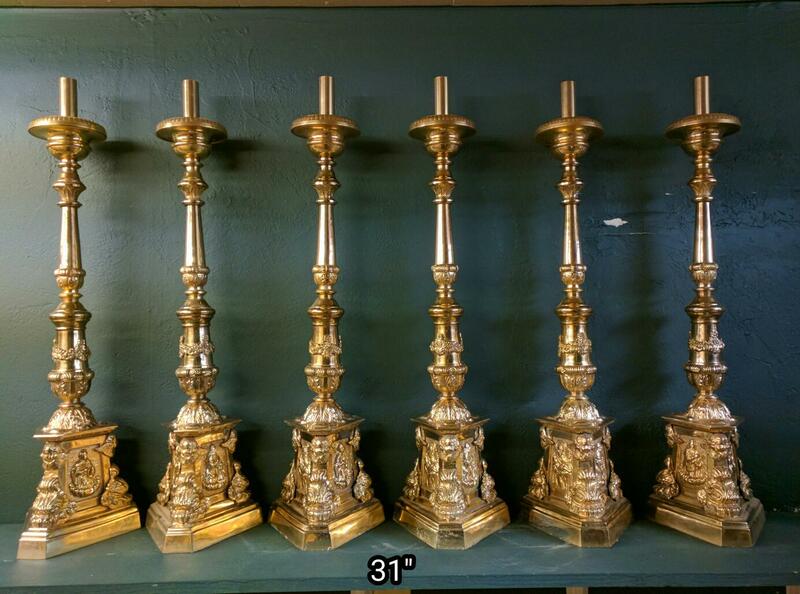 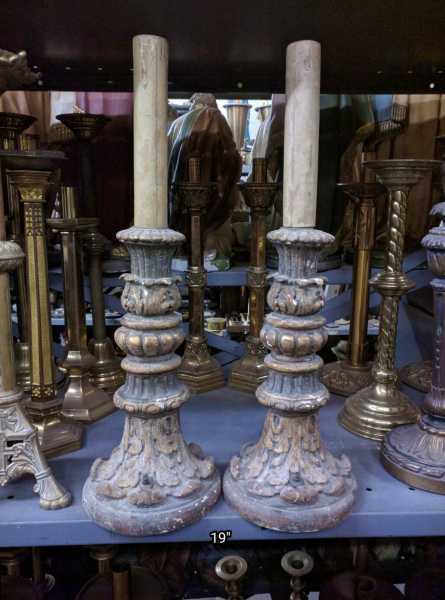 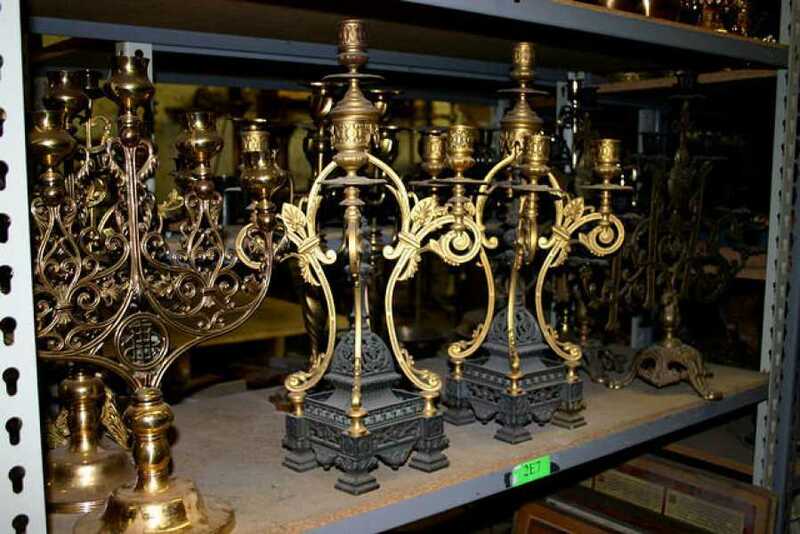 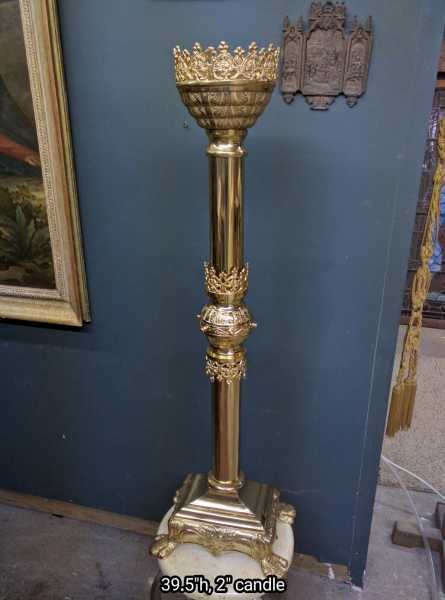 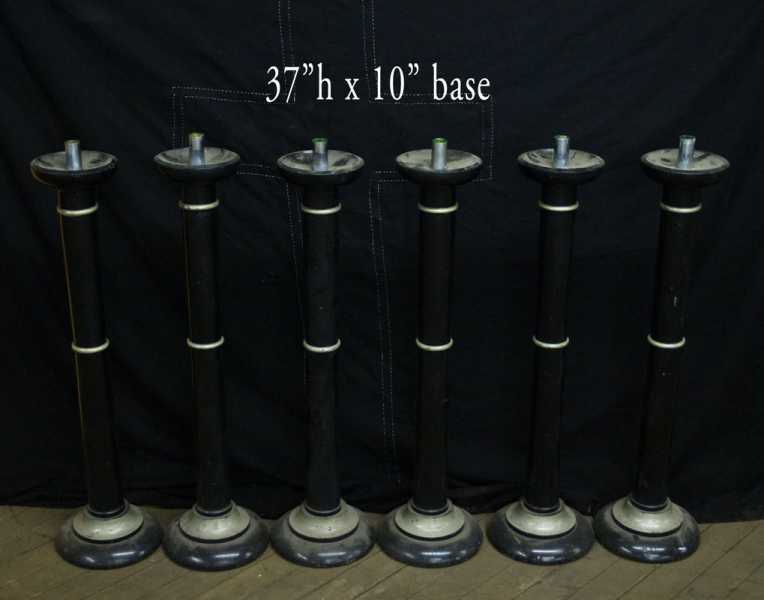 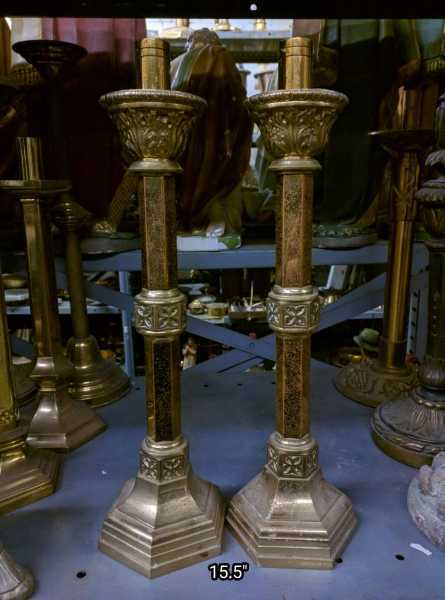 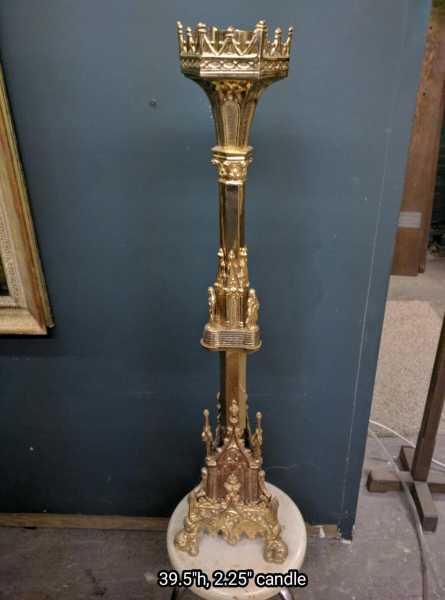 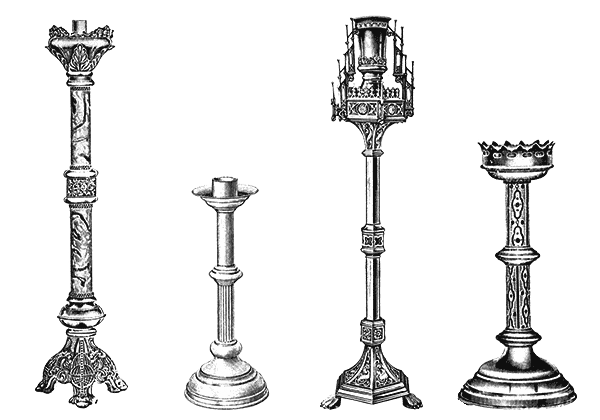 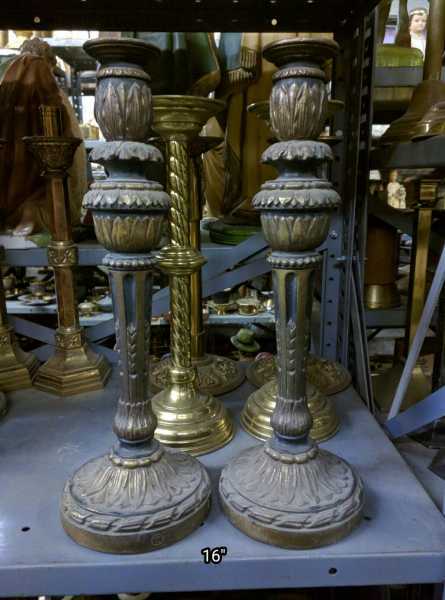 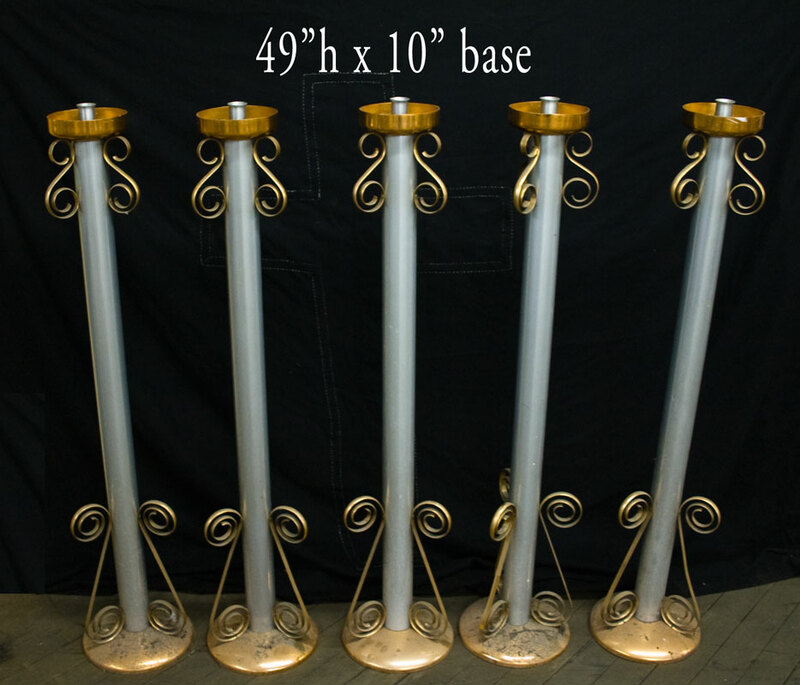 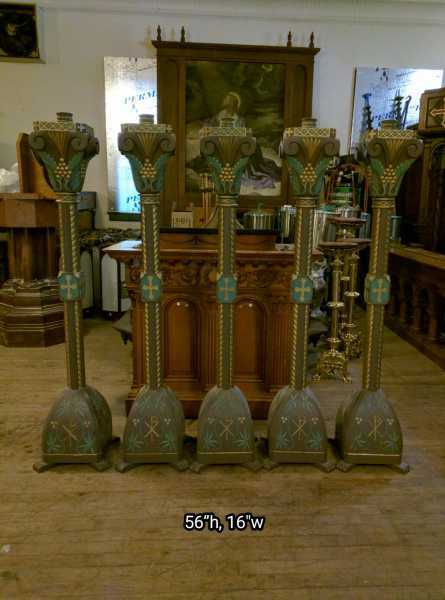 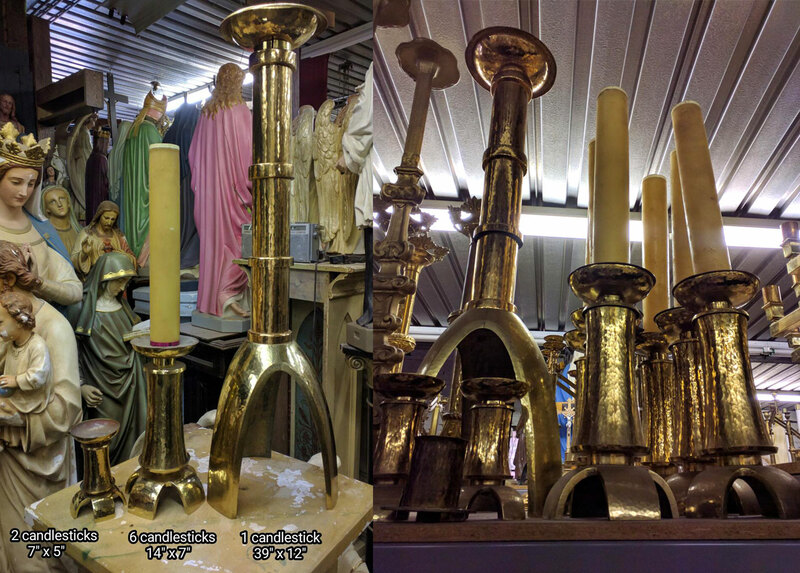 + Images in this gallery show few of the large brass candle holders (candlesticks) we have for sale. 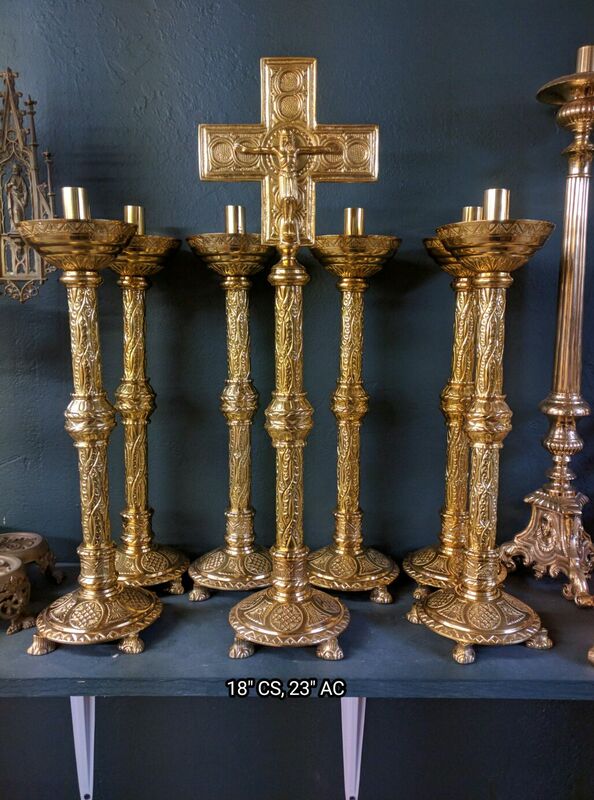 + We buy large, used brass candlesticks and entire church contents confidentially. 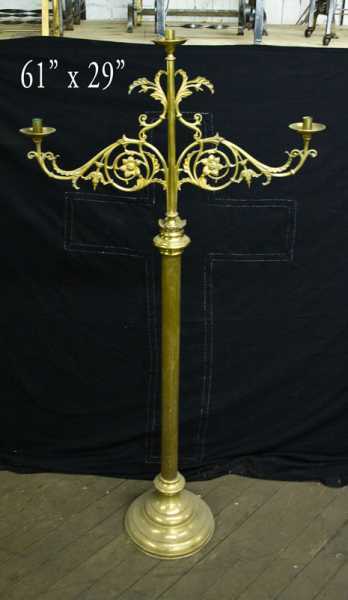 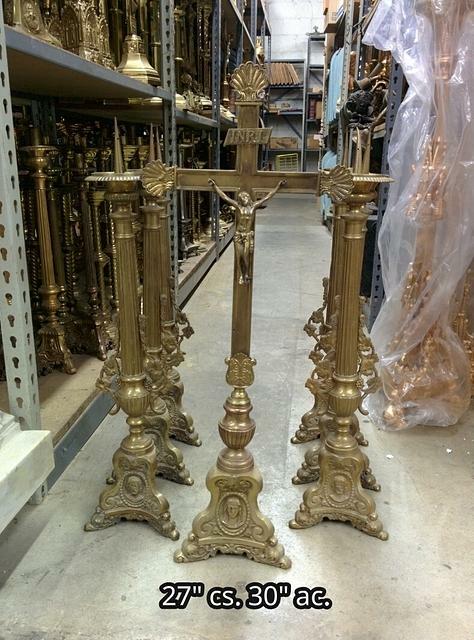 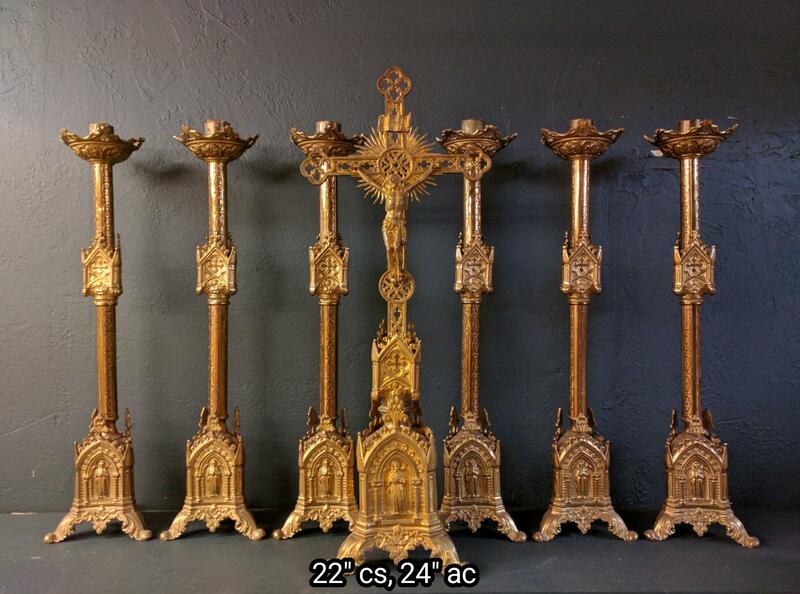 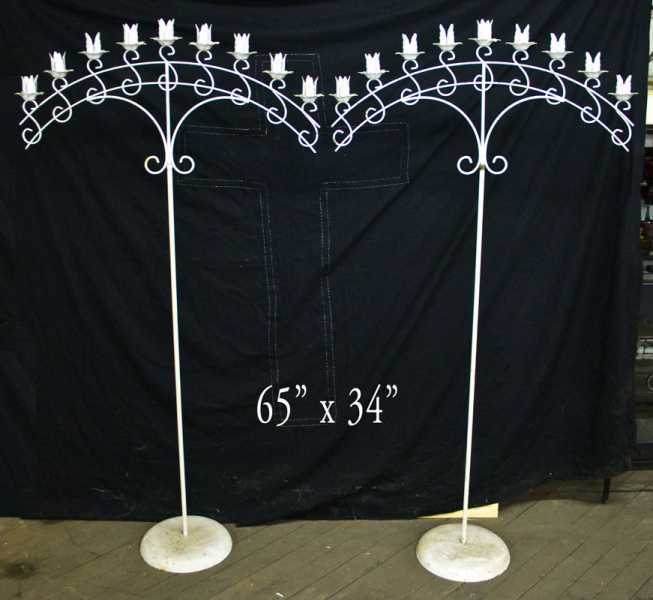 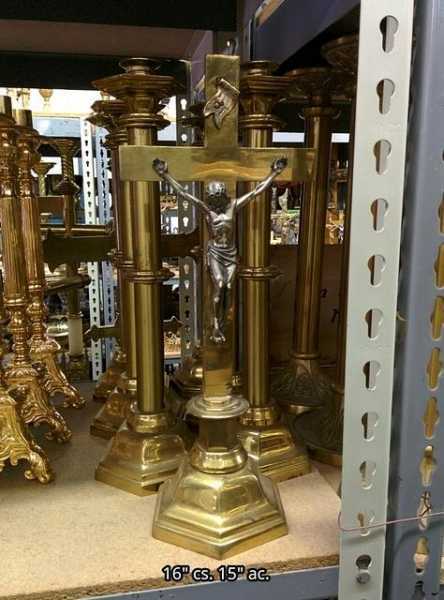 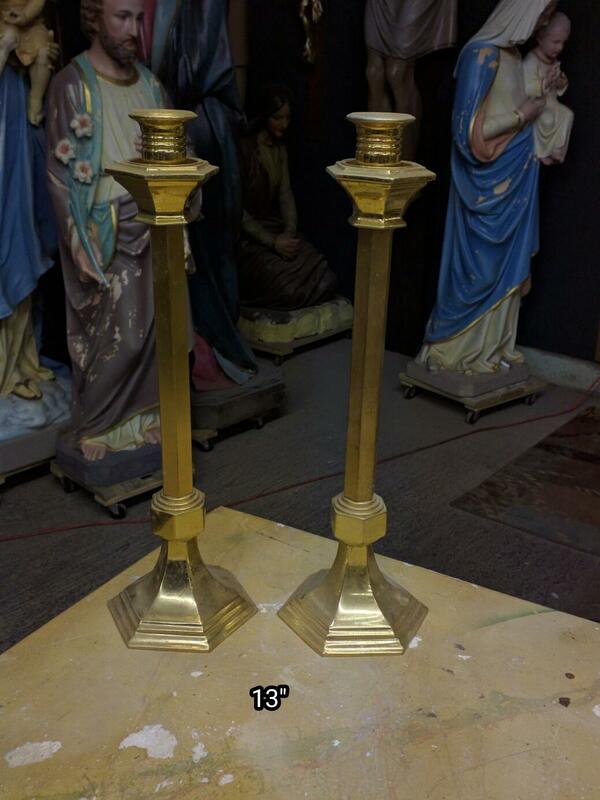 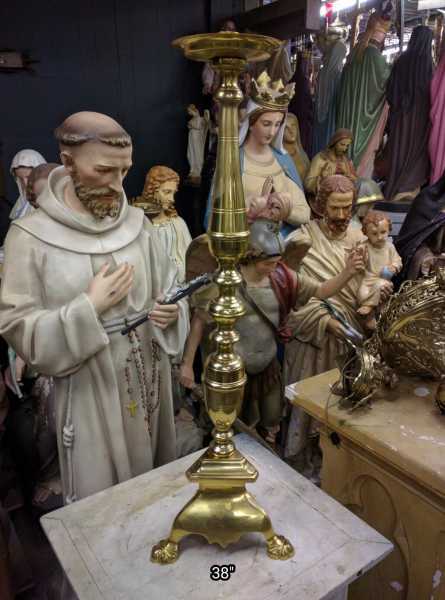 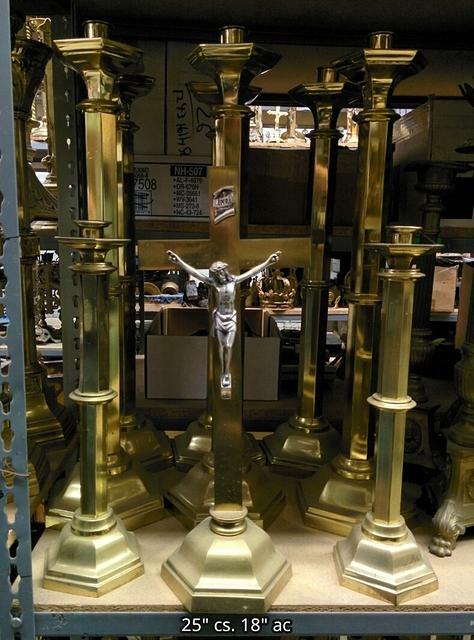 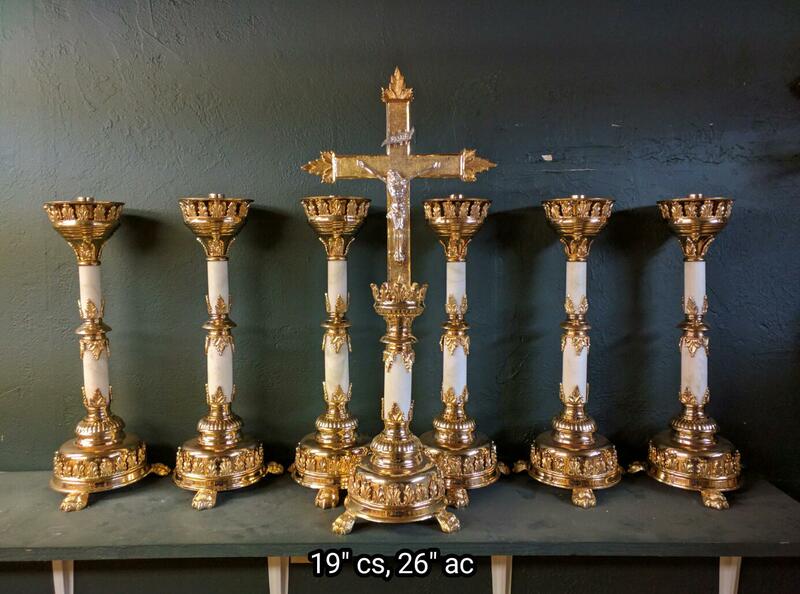 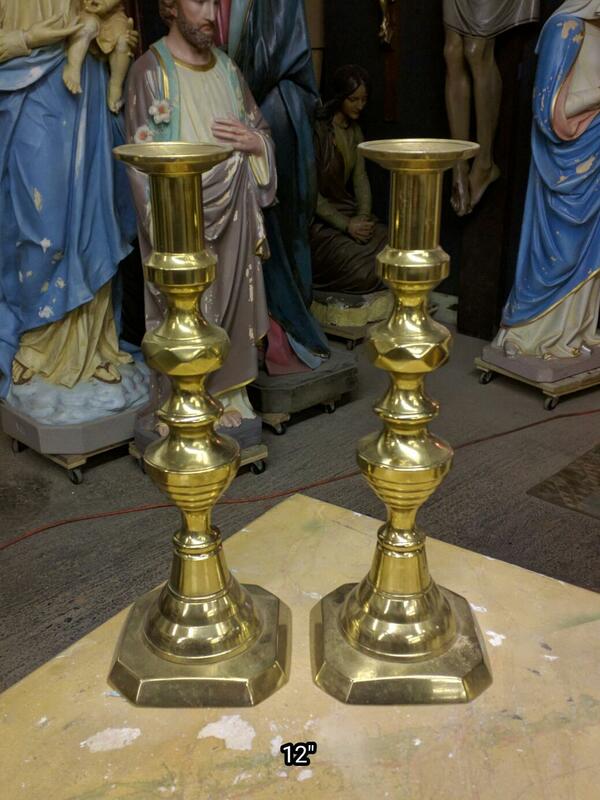 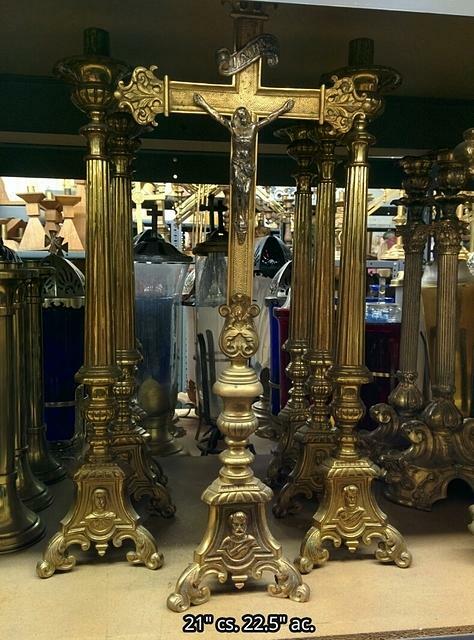 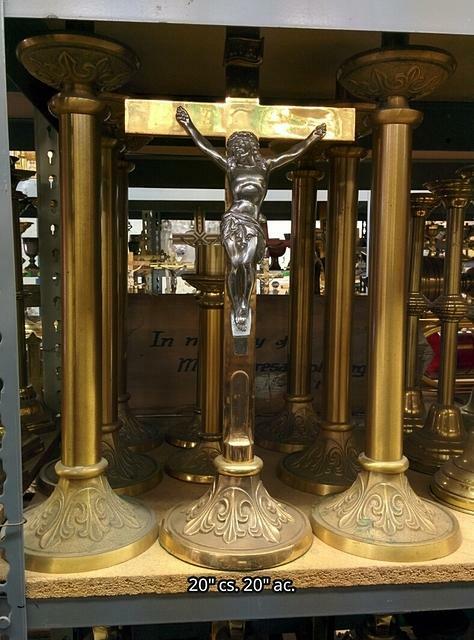 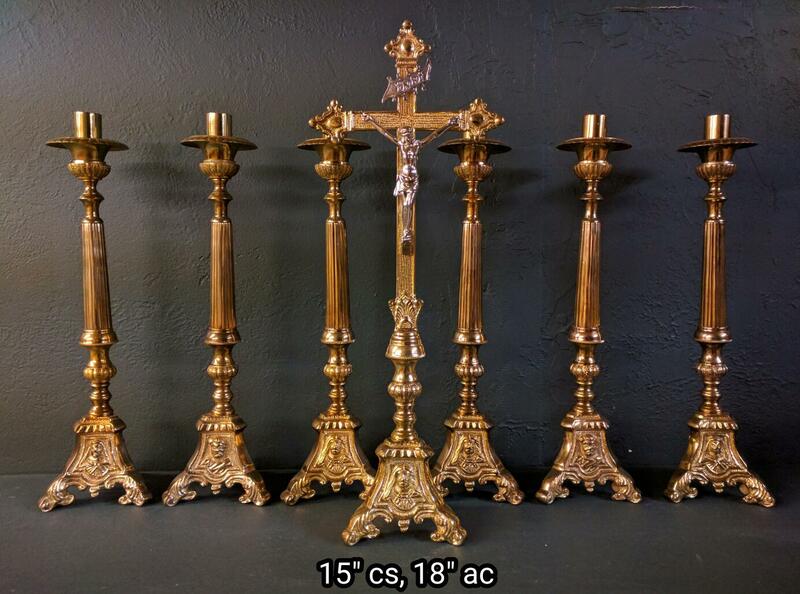 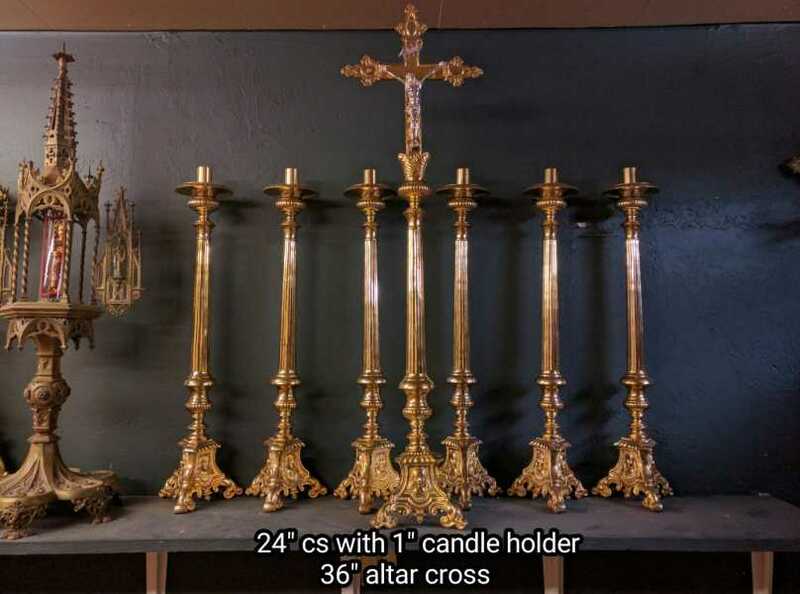 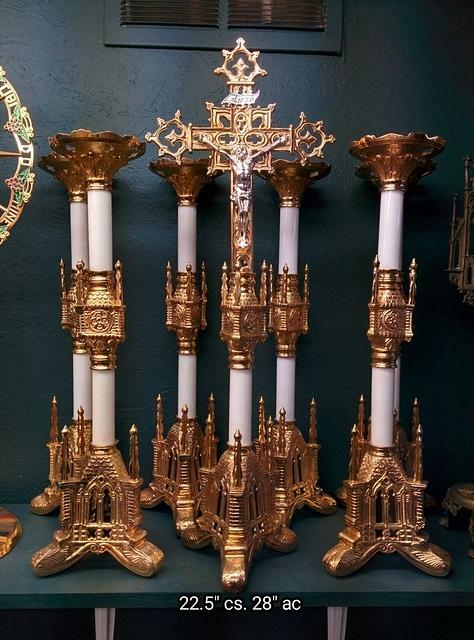 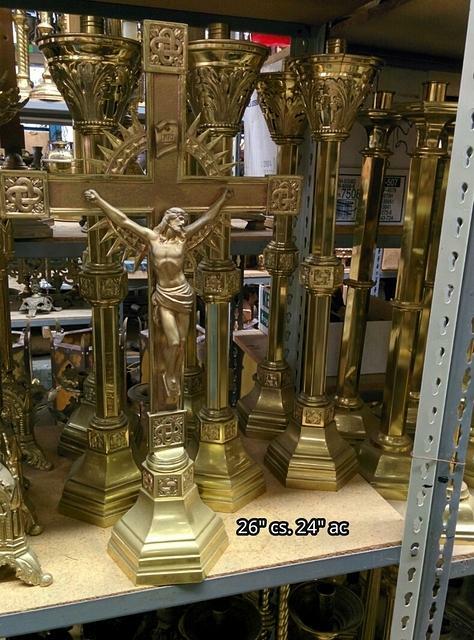 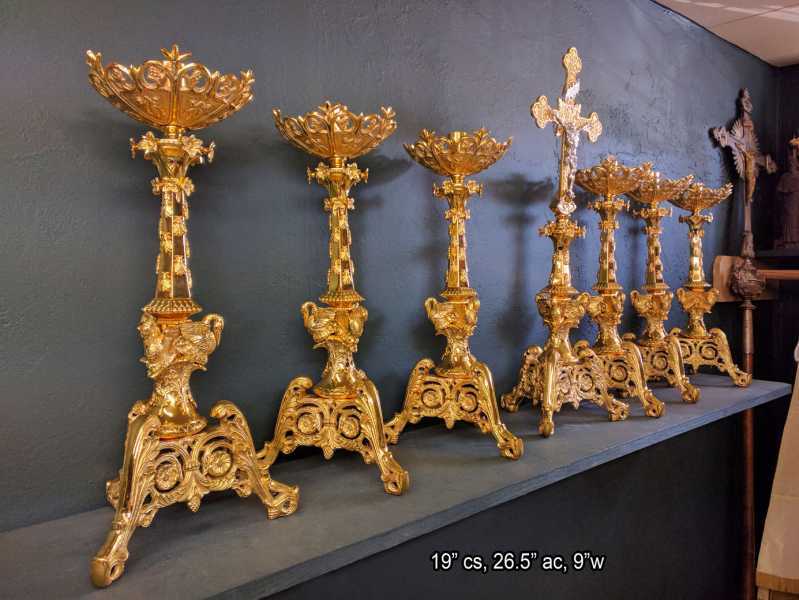 + Current inventory includes many large brass and antique gold plated candle holders, altar candlesticks including the altar cross and more.